Above: Director and curator Roger Joe Sanchez at the Ratón Museum. Photograph by Minesh Bacrania. WHEN ROBERT LINDSAY CAMPBELL—“Skinny” to his friends—looked through his camera’s lens at the city of Ratón in the early 1900s, he saw a thriving downtown with handsome two-story Victorian brick buildings and a busy railroad station chugging people in and out. Miners quenched their thirst at a variety of saloons. Ranchers rode into town to take care of business at the Wells Fargo Express Company, in its newly built Spanish Mission Revival–style building. Ladies kept the town’s merchants busy as they stocked up on ribbons and bows before heading to a touring show at the local theater. Over the decades, Campbell faithfully recorded the life of this lively community in the state’s northeast corner, watching the frontier West head into the Jazz Age and beyond. A commercial photographer, Campbell carried his kit from studio portraits to annual fairs, Christmas celebrations, the railway platform, mining camps, parades, rodeos, and races with both horses and motorcycles. 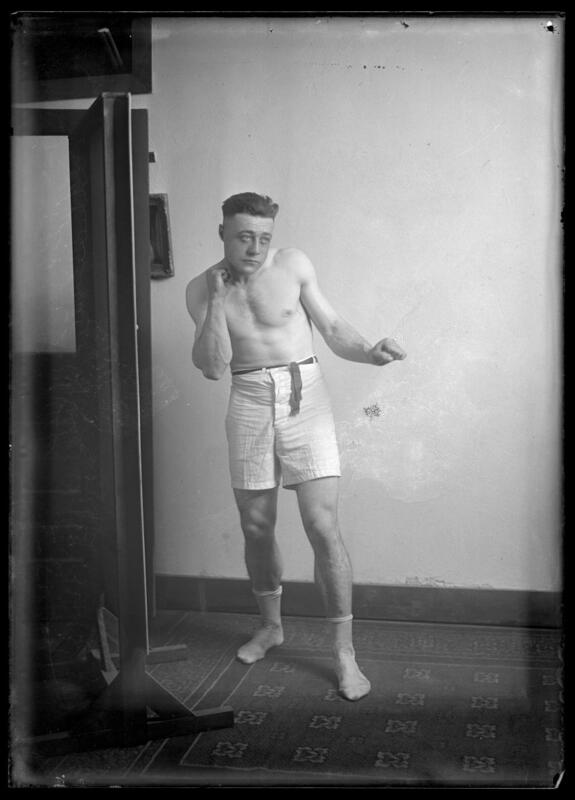 He amassed boxes filled with delicate glass-plate negatives, a potential treasure trove of the place’s past. When it served as a stop on the Santa Fe Trail, his town was called Willow Springs, but it transformed into Ratón in the 1880s—an Atchison, Topeka, and Santa Fe Railway hot spot blended with coal camps and cattle pastures. It attracted immigrants from all over the world and peaked in the 1980s at 8,200 residents. The good years, though, didn’t last. In the 1990s, the coal mines closed and residents began to leave. Campbell’s boxes of memories were all but forgotten. Above and below: Images from Ratón&apos;s digitized collection, which can be seen at the Palace of the Governors Photo Archive website and in the exhibits at the Ratón Museum. 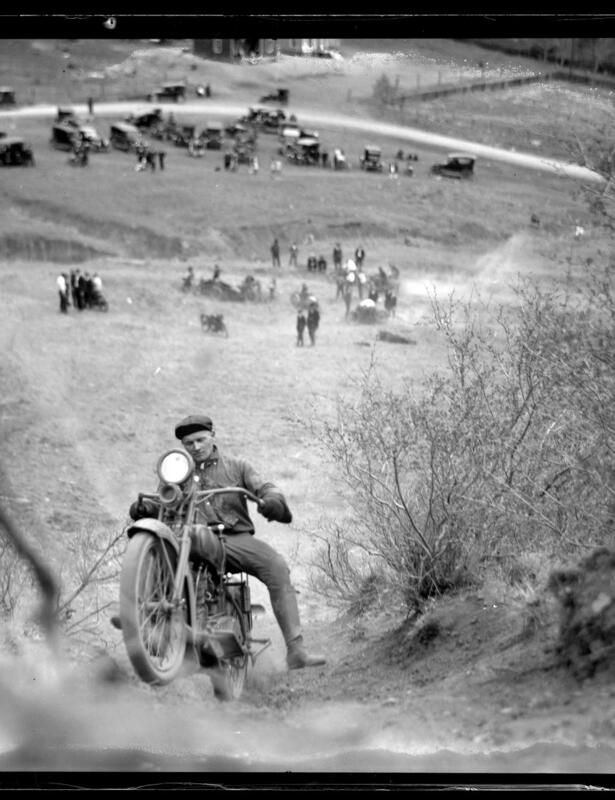 Photographs Courtesy Palace of the Governors. But in 2007, Jean Hulette, a woman from Los Alamos, walked into the Ratón Museum and said something tantalizing to its one employee, director and curator Roger Joe Sanchez. She was the granddaughter of a former Ratón photographer, the same Robert L. Campbell, and had a stash of negatives that needed to be in a museum—one where they could be cared for and seen. Sanchez’s museum was set to move into a larger building, a onetime hardware store across the street. He walked Hulette over to scope it out. “It had plenty of space for the photographs, and she thought that was just wonderful,” he says. Hulette promised to get in touch with him later, after she finished dealing with a medical situation. Then the story went cold. He figured that was that. But in 2011, Hulette’s daughter, Cynthia Pallas, called him. She had sad news, along with an urgent request. Her mother had passed away, and an estate sale would be held the very next day. Within it were some boxes of negatives that her mother had promised him. Did he still want them? Absolutely, Sanchez said. Pallas quickly pulled the negatives from the sale. “We came that close to losing them,” Sanchez says. Little did he know that this gift of aging and disorganized negatives would kick off a multi-year adventure. 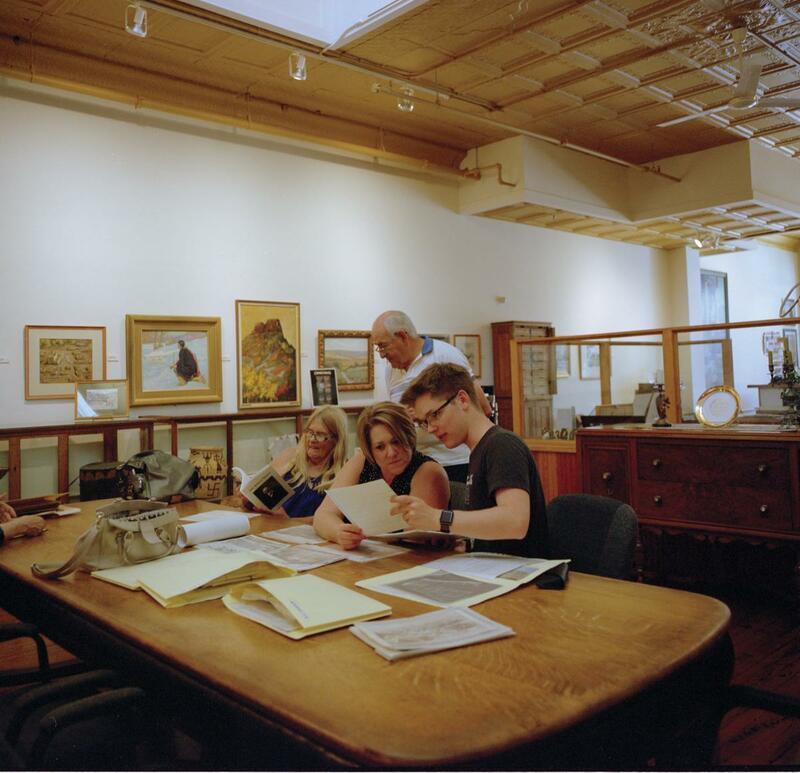 Along the way, it united archivists and photo historians in different cities and turned his hometown into an amateur detective force, scouring the details in antique images to tell the tales of the town’s past. THE RATÓN MUSEUM DIDN&apos;T have the equipment necessary to care for and restore the images, so the boxes languished yet again. One day, a local amateur historian mentioned them to Daniel Kosharek, the photo curator at the New Mexico History Museum/Palace of the Governors, in Santa Fe. The Palace of the Governors Photo Archives houses what may be the largest collection of historical and contemporary images in the Southwest, but it didn’t have much from Ratón. Tempted, Kosharek drove up. 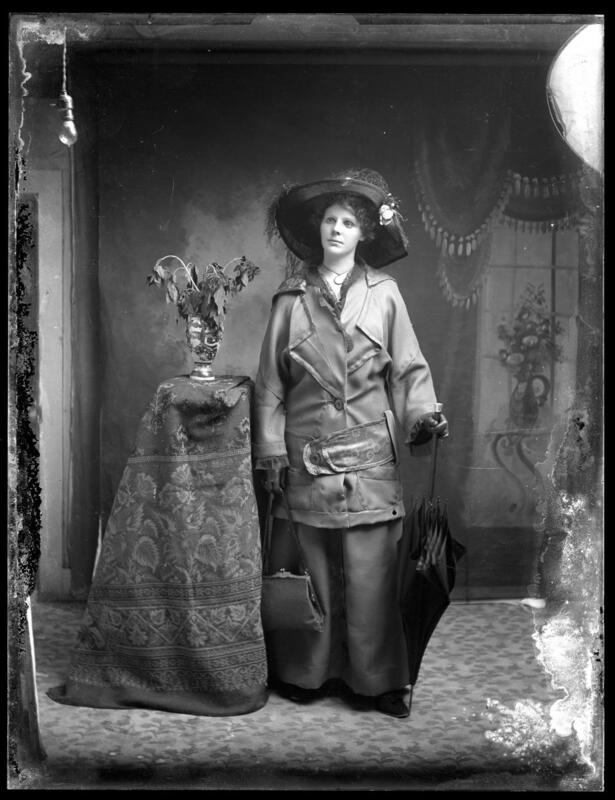 Glass-plate negatives don’t last forever, especially ones that have spent decades outside of climate-controlled archives. Kosharek estimated that, without archival-caliber intervention, these images had 20 years of life left. As a picture of the past hung in the balance, Sanchez and Kosharek struck a deal. The Photo Archives would clean them, scan the most important ones to digital, and make prints of those. In return, the museum would let it use the images in exhibitions and for research. One day she saw a beautiful photograph of a biplane flying over the rodeo grandstand. 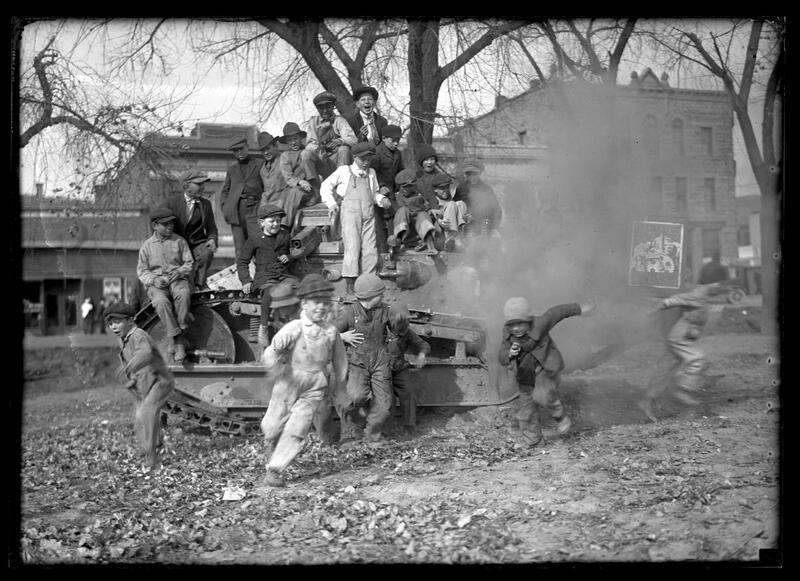 Then came an image of someone driving a tank through town, probably at the end of World War I, another of someone operating a motion picture camera, and one of the projection room of El Ratón Theatre. But you also had to make some leaps in judgment. Old print photos often have details jotted on the back, but negatives carry no extra info. For the most part, the 1,000 images that the archives rescued were 1,000 mysteries waiting to be solved. If the nameless faces and unknown events were to earn their place in history, they needed even more help. Finding the answer, he says, is part of his job. Besides using the images in a series of exhibits, the museum began organizing “identification parties.” They called on the town’s oldest residents to visit the museum, take a look, and offer their thoughts. So far, they’ve nailed down the Days of ’49 mining celebration, Elks Club events, and Christmas and Halloween gatherings. Already, information held within the photos is paying off. The historic downtown area around First Street has seen a welcome period of renewal in recent years, with a craft brewery, new restaurants, and a coffee shop opening. The old images of downtown have become a valuable resource to people who are renovating and restoring buildings to their original facades and bringing back the feel of those pioneer days. As they prepared to open the Colfax Ale Cellar, brewer Jim Stearns and his wife, Karen, restored a 1906–1908 building that once was the Dwyer Department Store. Campbell’s photos of the building revealed how it used to look, with mannequins in the windows and horses and carriages outside. By the 1920s, a theater occupied the first floor, with a Masonic lodge upstairs. In its honor, the Stearns let patrons enjoy their sips in an old theater chair. “Our goal is to get people off 1-25 to visit,” Stearns says. Above: Sanchez gives tours and works in the museum of his hometown. Photograph by Minesh Bacrania. Kathy McQueary, president of the museum’s board of trustees, says she’s struck by how the photos show the ways the town has morphed over the past century—and how it hasn’t. Some of the oldest buildings appear then as they are today, including the grand Shuler Theater, which staged its first show, a musical comedy, in 1915. Asked for any surprises among Campbell’s photos, Sanchez points to the ones of Franklin D. Roosevelt. “He was on a train going across the country to all these little towns during election time, and he’s giving a speech to the people in Ratón,” he says. Residents flock to see the exhibits regardless of the subject, says McQueary, who calls the collection “a wonderful gift,” even though the identification project has a long way to go. “It’s still a work in progress,” she says. “There’s such a large amount of them that, for our limited staff of one, plus volunteers, to be able to go through and get them all identified and keep up to date with that process has been trying, to say the least. 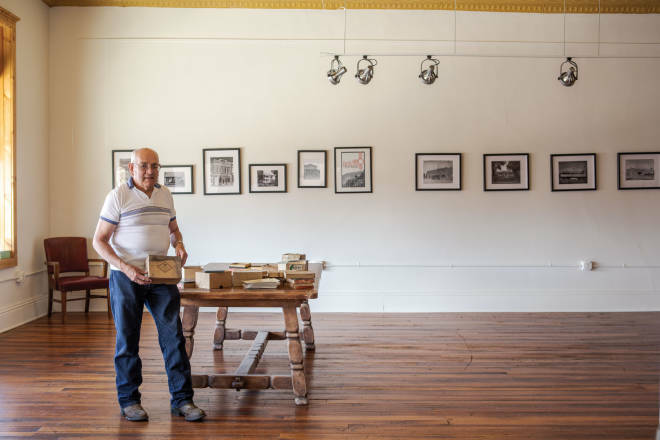 But we’re working on it.” More info might come on Labor Day weekend, when the museum honors an annual reunion of people who hold ties to the old Dawson mining camp by opening an exhibit that includes Campbell’s rare images from it. The first exhibit of the images, in June 2016, drew some of Campbell’s relatives, including Cynthia Pallas, who lives in Florida. She remembers her great-grandfather, who died in 1967, as “always smiling, a great personality.” Her mother, she says, had the negatives stacked on metal shelves in the garage for a long time. Ratón’s historic downtown district grew up around the former Atchison, Topeka, and Santa Fe Railway depot, built in 1903 in Spanish Mission Revival style. Now an Amtrak station, it welcomes the Southwest Chief daily (201 S. 1st St.). The Shuler Theater (131 N. 2nd St., 575-445-4746, shulertheater.com) and El Ratón Theatre (115 N. 2nd St., 575-445-7008, elratontheatre.com) are still going strong and entertaining locals with live performances and movies. The Colfax Ale Cellar brewpub (215 S. 2nd St, 575-445-9727, colfaxalecellar.com) opened a year ago with favorites like Chicorica strong golden ale, named for a local canyon in Sugarite Canyon State Park. Bruno’s Pizza and Wings offers takeout and delivery from the former White House Saloon (133 Cook Ave., 575-445-9512, brunospizzaraton.com). The Enchanted Grounds Espresso Bar & Cafe features locally roasted beans, panini, salads, and homemade soups—a good place to revive in between forages at three nearby antique stores (111 Park Ave., 575-445-2219, enchantedgroundsraton.com). The Historic Ice House serves barbecue, fried pickles, and sopaipilla cheesecake (945 S. 2nd St., 575-445-0003, thehistoricicehouse.com). For an overnight stay, the Ratón Pass Motor Inn has been restored to a 1950s retro cool with vintage decor (308 Canyon Dr., 575-445-3641, ratonpassmotorin.com). The Gate City Music Festival, over Labor Day weekend, celebrates cowboy culture, with country music, street performers, beer and wine garden, street dance, and vendors (gatecitymusicfestival.com). Learn more about the town and nearby attractions at ratonmainstreet.org.